Online marketing has become very important for any business in today’s saturated marketplace for all industries, no exception. However, a lot of small business owners might underestimate the complexity of those marketing efforts due to some false assumptions and expectations. If you are an avid startup owner willing to market your business right, you need to know the 12 myths about online marketing. While discussing online marketing with clients, I often hear stories about a “magical new marketing technique” or how other businesses have marketed their business and have had enormous results overnight. Or prospective clients come to me after being told, by an unscrupulous marketer, how they can achieve amazing results by implementing certain techniques, for a price of course. Well, sadly some of these techniques are not only costly in dollar terms but can also damage businesses whether through loss of customers or even search engine rankings. I think it’s time to lay some of these myths to rest. Yes, it’s myth-busting time. 1. An online store is a license to print money This is an oldie, but this still gets bandied around. Like any so-called ‘get rich quick’ scheme, this isn’t true. An e-commerce website is a part of a business and it takes time and effort to get a business up and running. An online store has costs such as packing, packaging and also the sending of the item (although you do charge for postage!). Then there are the everyday running expenses of a business. Now don’t get me wrong, I have run a successful online store, but like everything, it takes time and you do have lean times as well as good times. Operating an e-commerce store is a great business, but is not a license to print money. 2. You can just put up a website, and it runs itself A website is not a "set and forget" thing. Your website could be the hub of your business. Yes, you can automate some functionality on a website, but it is important to keep it up-to-date, add fresh content and actively market your website and business. When I view a website, I look at the content and maybe even the “last updated date”. How new is the content, does some of the content refer to prices or features from several years ago? If so, I move onto another more current site. Why? For a start, you need to instill trust in your customer. They need to trust your prices are up-to-date, your service information, address and phone numbers are still current. Are you even still in business? Fresh content needs adding on a regular basis so returning website visitors find something new and they keep coming back. 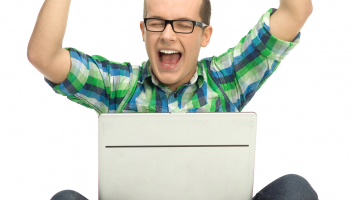 Search engines also love fresh content, so guess what? They keep coming back to index new information. Actively marketing your business lets customers know, “Hey, I am still here.” 3. A marketer told me they could guarantee me number 1 spot on Google They may be able to, but no one can guarantee this. Google has its own sets of algorithms that change regularly, and Google does not publish these. Sure, as an SEO person you do glean some of how Google is indexing sites, but by doing good honest SEO, you can get sites to rank well on Google. Tricking Google is not a good idea. Many, years ago an international vehicle manufacturer tried to trick Google with some not-so-honest SEO techniques, and they were tossed well down the rankings and, from memory, practically banned from Google for a period of times. The best way to manage your SEO is to use a reputable SEO agency that will evaluate your website and implement or advise on good SEO techniques. 4. Once you are on Google, you don’t need to advertise The “once you are on the first page of Google you have made it” myth. Hmmm, not quite. Having high Google rankings is great and is a help, but not everyone searches using the same keywords that you may have to reach those high rankings. It’s important to keep getting your message out there through other avenues to capture a new customer’s attention. A lot of people use voice-activated search now, such as Apple’s Siri, so making sure your business is out there in social media, on blogs and other marketing branches is even more important today than several years ago. 5. I need to be everywhere on social media You can’t be everywhere for everyone. So, that means not every social media platform is right for your business. You need to select social media platforms where your “target” audience hangs out. Start out with 2-3 platforms while you get into the swing of posting, answering messages, etc. You can use a scheduling tool such as HootSuite or Buffer to help you manage your social media. And remember to be social, don't just plug your product. 6. Everyone is my target market You can’t be everything for everyone. I may have said this line before… But here is the thing; “everyone” is not your target market. You need to dig down and discover your niche target audience and market to that particular audience. If you are having difficulty in narrowing down your target audience, ask for help from a specialised marketing agency. It’s well worth the time to do so, as narrowing down who is and who isn’t your target market can save you wasting lots of money on non-targeted advertising. Well, that's my first 6 of the myths of online marketing. When writing these first 6, I found myself reminded of the many mis-truths that are out there and how many people find themselves confused about the rights and wrongs of marketing online. The final 6 myths of online marketing will be covered soon, and hopefully, after reading all 12 it will arm you with some information to be able to recognise and avoid some of the not so good marketing tactics that are out there. 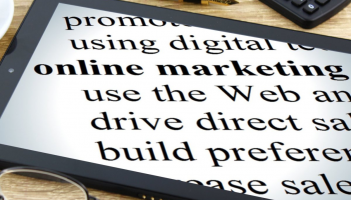 Online marketing is an imperative part of a company’s marketing strategy, especially in today’s competitive market with mostly digital-driven consumers. The sad thing is that, despite of its inevitable importance, a lot of companies may underestimate the complexity and efforts of online marketing. If you want your startup to have a real chance at succeeding in the digital world, learn about the remaining 6 of the biggest myths about it and, by all means, avoid them.​ Welcome to part 2 of The 12 Myths About Online Marketing. In this 2 part series, I hope to unravel some of the myths that are commonly tossed around. It is easy to be led down the wrong path with misinformation about how to market online. Sadly, this misinformation can end up costing you not only dollars but also reputation and business. 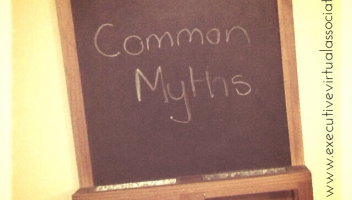 So, here are the final 6 myths... Oh, and if you missed the first 6, you better catch up then. 7. Social Media is not worth the effort The “social media is not worth the effort or didn’t work for me” myth is often the result of lack of social media strategy. 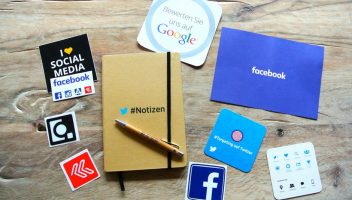 Social Media is worth the effort: you just need to make sure you have chosen the correct social media platform for your business and are posting on these platforms regularly and responding to comments or messages as well. Updating your cover pictures and maybe even adding seasonal covers help give the impression that your social media presence is alive and there is someone there. Yes, it’s a trust thing again. And remember to be social. If you find the whole social media thing overwhelming or time-consuming, you may need help in implementing a strategy to manage your social media or consider outsourcing to a specialised social media company. 8. Sending email newsletters does not work anymore I get a lot of emails. That is, I have subscribed to a lot of email newsletters and while I don’t open each and every one of those emails, if theirs got a catchy heading/subject line and interests me at a time when I need that information or realise it’s an industry update, then I will have a quick read. Email newsletters still work… You do need to ensure that you are talking to your target audience and providing them with information that interests them. Keep your emails brief and to the point and link to your website. That way, if a reader is looking over an email, they can quickly click on their area of interest and read/see more on the website. Let’s face it, scrolling down and down through an email is tedious, especially on a smartphone. So keep to the point, add a good catchy subject line and make sure you add links to your website. Also, ensure people can opt out of your newsletter easily. And don’t be offended when they do, people’s interests/jobs change and so will their email habits. And remember not to spam, people need to say yes, they want your emails, this also helps with reader retention and making sure you don’t fall foul of the anti-spam laws. 9. Get loads of traffic and your website is a success So, the eyes of the world are on your website but loads of traffic to your website is useless if the visitors are not the intended target market. If your website is getting loads of visitors and you are not making sales, receiving enquiries or leads, you need to look at making your website content more targeted and marketing your website strategically to your target audience. You may also need to include some clear calls to action on your website. While it’s nice to be popular, without sales or enquiries your business will not grow. 10. This worked for another company, so that’s what we will do My mum had a saying, just because “so & so” jumped off a cliff, would you? This saying crosses over to marketing. It’s easy to copy someone, however, if you are not exactly, down to the last employee or product, the same as that “other” company, chances are doing the same may not work for you. Every business is individual even though you may sell the same or similar products or services; the way you do business and are perceived by your customers is not going to be the same as any other business. So, while it’s nice to learn from what others are doing, don’t copy their marketing 100%. Take parts that may work for you and give them your own spin and add and try other forms of marketing as well. 11. I don’t need a website, I have a Social Media page Oh my, how many times have I heard this one? A social media presence is not the same as your own website. On your own website, you can do what you want; you are not restricted or governed by someone else’s rules and regulations. While today you may be able to sell products or promote freely on a social media platform, tomorrow the rules may change and your business will go down the gurgler. Certainly, have a social media presence, but always link back to your website and let followers know you have a website and they can also deal with you there as well on social media. 12. I don’t need traditional marketing techniques anymore Traditional marketing still has its place alongside digital/online marketing. While I ran an e-commerce store, I still had business cards, attended business functions, from time to time had flyers printed that I included with the orders. I also included a small bag of sweets and a magnet and you wouldn’t believe the number of customers who commented on what a nice personal touch that was, and yes, the magnet was put on the fridge or given to a friend (as they already had a few – repeat customers!) and the kids wanted mum to place another order so they could get more sweets. Being a product based e-commerce store, I also utilised traditional PR methods and received publicity in leading national magazines, national television, and radio. Utilising print advertising in business or trade publications is also effective in getting your name out there and gaining trust in an industry. So there is still room for traditional marketing methods to work hand in hand with online marketing. So yes, like every industry there are myths and facts, the online marketing industry is no different. So do your research and ask questions and find the best overall marketing mix for you and your business, but don’t forget that the web is constantly evolving, so keep an open mind and take a flexible, yet strategic approach to your digital marketing efforts. There is something about social media that makes it look and feel not as real as traditional media. We say things we wouldn’t otherwise; we share information that has no backup. We befriend people we have never seen. And while these are not okay when it comes to your personal account (because digital bullying is a real problem), they are a complete “no-no” when it comes to business. Just because it’s digital it doesn't mean that the law doesn’t apply to it. The Australian Consumer Law, Spam Law and Australian Competition Law fully apply to your activity online. In addition, there are legislations that apply specifically to social media for businesses and they are regulated by the Australian Competition and Consumer Commission. We strongly recommend you to go through them in detail before starting your next social media account. For now, just get in the mood by reading through the 3 biggest myths that entrepreneurs believe in about social media: 1. I decide how, when and what You just can’t say whatever you want on social media. Making misleading comments or allowing them on your social media accounts can lead to a lot of lost business. Not only your reputation will suffer and you will lose your following but clients can file lawsuits against your company. 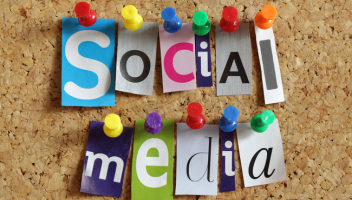 The biggest myth small business owners believe about social media is that they are in control. Not at all. Social media platforms own your account and they have specific and detailed terms and conditions agreement. If you break the rules, you are out. There are also extensive legal regulations as mentioned above and if you break them, even worse - your business is out of the game. 2. I can change the rules Did we mention you don’t make the rules in the first place? Well, you can’t change them either. If you say that a bag is $50 in your online shop and it is $65 in fact, you mislead customers and you are obliged to give them the bag for $50. You can’t change your mind about the rules because you are not their owner - the legal system and social media platform decide even what contests you can run. And once you have said something online, once you have made a promise to someone, it can be considered a contract agreement already. Don’t make empty promises! 3. I don’t have responsibility You might not have control, but you have responsibility. Don’t you just love social media now? You are responsible for the information you provide and you are also responsible for posts from your employees and social media managers. Your responsibility starts with legal and platform compliance but extends to the behaviour of employees on social media. You have the responsibility to provide truthful information and address issues with customers and followers. Deleting a comment doesn’t make it disappear forever. If you go to court, social media platforms might provide information and proof that you thought is long gone. To be honest, this is just the tip of the iceberg. You can’t even imagine the assumptions that business managers make every day regarding social media. The fact that social media is digital makes it less personal, less tangible in a way. But it is 100% real and the law applies to it fully. Don’t play a game or make expensive experiments with social media. The least you could lose is your social media account and following. The worst that can happen is getting sued by a Facebook “fan”. I won’t even get started on the endless list of lawsuits they can file. Social media and the law are not irrelevant. In fact the more we use social media, the tighter the regulations. Be prepared to start looking at regulations first, and schedule posts second. You only have to ask a person under the age of 20 whether social media is overwhelming or scary to know they don't experience the same challenges that adults do when it comes to social media. Here are 5 strategies you can embrace to make it easier for you too. 1. Stop planning and take action. You know what kids are like – jump in and then think about it. Whereas adults tend to think about it, then plan, then learn, then plan some more, maybe learn some more, back to planning and by the time they’re ready to take action – there’s more to learn. I hear it over and over again and the reason many businesses haven’t created a strong social media presence already is because ….. they’re still thinking about what could happen. It’s time to stop planning or thinking and take action. Get started and see how it goes. What’s the worst thing that could happen? You might waste some time or change your strategy midway. Maybe you’ll have to learn as you go. At least you’ll have started and you’ll be that much closer to having an online presence than you were when you were still thinking and planning. Start! If you have to dip your toe in first do that but make a start. 2. Get click happy! What will this button do? What happens if I click here? Should I click this? The answer to these questions is DO IT AND SEE WHAT HAPPENS. Most of us didn’t grow up with IT savvy parents or teachers and we were told “don’t click”, “don’t touch that” and “follow instructions”. Kids today are much less likely to wait and they don’t have a fear of making a mistake like we do. They click it and see what happens. The creation of the “undo” button was a revolution we need to embrace. Couple that with the “I can do anything” attitude of youngsters and you have a “click it” movement. And I say why not. If you’re looking for a feature or a function and there are menus or option buttons you have two choices. Option 1, you could research and spend all day looking for the right advice, or 2 you could click it and you may just find the answer to your question. Go on, click it. 3. Life’s a game, so play. The world has changed – yes. The way we communicate has changed – yes. Our degree of sharing has shifted – yes. And life goes on. I say stop taking things so seriously. Social media has been in existence for well over ten years now and the impact it has had on our lives is enormous, there is no debating that. Have there been negative things come out of the introduction of social media – sure there has. But it isn’t too different to any other point in history when things change. The industrial revolution also brought change and impact but life continued. And so it will if you accept the way things are. Don’t make the change bigger than it needs to be. Embrace it and have fun with it. If there are elements of social media you don’t like – don’t participate. If there are interactions you don’t like – don’t look at them. Enjoy the time you do spend using social media and allow yourself time to adjust. 4. Small talk is easy. Small talk comes naturally to some and less naturally to others but the incredible thing is – small talk online brings big exposure. Is it worth learning to create conversations online if you know it could potentially expose you to hundreds (or even thousands) of people? Of course it is. The key is – engagement. The more people who interact with you ie. join your conversation, like what you’re saying or repeat what you said to their friends, the more exposure you’ll achieve for your brand. Don't be afraid to hear the opinions of others, even if they’re different to your opinions because just by joining in conversation with them – they’ve told their friends about you (indirectly of course). That’s pretty cool and who knows they may even become customers – now or in the future. Join conversations, participate in chit chat, and increase the number of people who know about your product or service. I like that! 5. Say it like it is. Hesitation, reservation and conservatism are the major differences between adults and kids when it comes to what to say. Sometimes, unfortunately kids go a little too far, not thinking at all and I don’t encourage that. But I do suggest you just say it and stop overthinking everything. Adults tend to get caught somewhere between the spoken language and the written language. Most business people can comfortably hold a conversation with a customer or colleague either on the phone or face-to-face. Ask them to write down what they spoke about and they get caught up in pronouns and pronunciation. Social media is not the place to get carried away with essays and prologues. The whole energy surrounding social media is conversational and that’s the tone you need to use if you want to engage online. I’m not suggesting you should be sloppy or use an abundance of shortened words. You’re in business and so you should be professional, of course. The tone you use should reflect the tone you use in your verbal communications, your offline conversations. Listen to yourself, record yourself if you need to. Hear the language and tone you use in conversations and bring that into your online conversations. Last but not least .. if a child doesn’t know how to do something, or simply doesn’t want to, what do they do? They ask someone for help. Not such a bad idea. Ask for help if you need it. Tax time is approaching. You know what that means? It means that there are quite a few tax deduction tips you should definitely know about if you want to make the most out of your tax return. As a business owner you can claim tax deductions for a lot of things you probably did not know about. That includes your actual accountant fees you've been spending without realising they are deductible, self-education expenses and more, much more. It’s almost tax time, which means that your business should be gearing up to lodge its tax return in the coming months. The taxation system is notorious for being complex, with a myriad of confusing rules as well as loopholes and “hacks” that can dramatically reduce your tax bill. 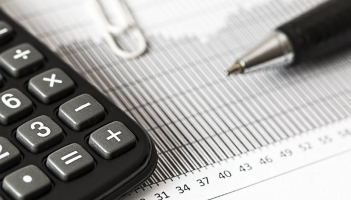 While there are thousands of potential deductions that your business can claim, here are 7that are often overlooked, which you can use to instantly reduce your tax bill this year. 1. 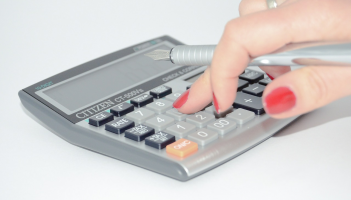 Accountant fees (all of them!) It’s rather ironic that the cost of completing your tax return is actually tax deductible, so it’s not surprising that it’s a deduction that a lot of people forget about. The fees you pay to an accountant to assist with your business tax return are tax deductible the following year. However, while a lot of people remember to claim the cost of completing their tax return, they often forget that they can also include the cost of any additional meetings or appointments that are necessary for managing their taxes. This all falls under the cost of managing your tax affairs. So, dig out the receipts from your accountant last year and be sure to claim all of the costs as a business expense. Similarly, make sure to keep your receipts from any meeting with your accountant this year and claim those costs as a deduction next year. 2. Accounting software Online, cloud-based accounting software such as Xero is an effective way to keep on top of your business expenses and accounting throughout the year. It can help you manage all of your business invoices, bills and purchase orders, plus it keeps track of your payments in one handy platform, usually for a monthly service fee. Businesses can be so focussed on getting all their expenses and deductions in order with the help of their online accounting system that they often forget that they can claim the cost of the accounting system itself as a deduction. Again, it all falls under the cost of managing your tax affairs. 3. Defer some income Okay, this one isn’t a deduction, but it is an important strategy to consider at tax time to lower your taxable income. If your business has recently received a large payment for goods or services that you haven’t yet provided, the payment could potentially be considered “income in advance.” This means that the income shouldn’t be taken into account as part of this year’s tax return, which in turn will lower your taxable income and save your business hundreds or even thousands of dollars. The logic behind this rule is that income is considered in the same tax year that the service was provided. Make sure you check with your bookkeeper or accountant to see whether your business has any income that could potentially be deferred until next year’s tax return. An example could be if your business has already been paid for an event or conference that it’s holding later in the year. 4. Union fees A lot of people are part of a work-related union or a member of an industry group. These bodies are great as they protect workers’ rights as well as provide ongoing workplace support, networking opportunities and educational resources. You might have been a part of a union for many years already and never thought about claiming the cost of this on tax. Well, you can. Union and other membership fees are considered work-related expenses as they help you perform your job and are sometimes even required to work in a certain industry. You can fork out hundreds, even thousands, in fees for these groups, so don’t forget to claim the full cost when filing your tax return this year. 5. Home office bills Most people are aware that if you work from home, even occasionally, you can claim some of your Internet and phone line costs as a tax deduction. But it doesn’t stop there. You may also be able to claim a portion of your electricity bill as an “occupancy cost,” including the cost of heating and cooling your home office, and don’t forget lighting. Your accountant can help you calculate what percentage of your electricity bill you can claim on tax, depending on how much time you spend working from home. For example, if you work from home 50 percent of the time, at least half your bill still needs to be attributed to personal use and cannot be claimed as a deduction. 6. Home office furniture Along with energy, Internet and phone bills, you may also be able to claim some of your home office equipment and furniture. For example, if you bought a desk and ergonomic chair for your at-home work station, these can be classified as work-related expenses, meaning you can claim their depreciation costs. The same goes for personal items that you may use for work from time-to-time, like your personal mobile phone or computer. 7. Self-education expenses Business owners are constantly educating themselves and upskilling to stay on top of their game and ahead of the pack. The good news is that if you do a course that’s directly related to your field of work and will likely help you increase your income, you can claim the cost as a tax deduction. This is because the government wants to encourage people, particularly small business owners and sole traders, to continue to learn and increase their earning potential. So if you’ve completed a course, a workshop or even attended an industry conference, bring your receipts along with you to your accountant’s office this year. These strategies are simple yet highly effective ways for you to save hundreds or even thousands of dollars on your business tax return. And these are just the tip of the iceberg. Make sure to speak with your bookkeeper or accountant about other ways to reduce your business’s tax bill this year. And don’t forget to claim the cost of that advice, of course! Even though bookkeeping and accounting are perceived as synonyms there is actually an important difference between the two terms. Bookkeeping and accounting can be a great start in a business-related career because there are always finances involved. If you don't understand the distinction between bookkeeping and accounting then give this article a read. Bookkeeping, which dates back to unwritten history, is arguably one of the most useful business procedures invented by mankind. Its development has helped business owners keep accurate records of accounts and transactions. Then it further developed into involving the method of identifying relevant trends to drive business growth, which is called accounting. Although bookkeeping and accounting are sometimes used interchangeably, they are different in their strict meaning. The following bookkeeping, accounting facts and trivia clarify what these two terms concretely mean: Difference Bookkeeping and accounting differ in that the former is mechanical while the latter is analytical. Bookkeeping involves the actual recording of transactions into business accounts. When all these records are taken for financial analysis and preparation of other business results (statements and liabilities), then this is accounting. Another distinction between bookkeeping and accounting is that the first involves a columnar presentation of numbers, while the latter uses reports to present business results. Importance It is no secret that bookkeeping and accounting are crucial. But why is it so? Bookkeepers ensure that the financial processes of a business are accurate and efficient. Depending on their designation in the company (e.g., accounts clerk, finance officer, payroll officer, etc. ), they may be required to handle payroll, invoices, auditing, and government filings. Sometimes, senior bookkeepers or accountants manage the accountants in a mid-size or huge company. Their opinions are consulted by business owners in making crucial decisions. Success People versed in numbers and gifted with both analytical and management skills can be successful in bookkeeping and accounting. Business owners can also fast-track to success if they have start-up knowledge in bookkeeping, for they will understand the numbers more and their implications. The industry also awards a competitive salary to these experts, and it is a common practice in business to promote accountants to higher positions because they possess a deep understanding of the organisation's finances. Career A job in bookkeeping and accounting is a good place to begin for those who want to make it big in any industry. Basic knowledge of money is indeed essential, proven by the fact that some of the world's richest today like J.P. Morgan, John. D. Rockefeller, Arthur Blank, and Phil Knight studied bookkeeping and accounting or started as accountants. An accounting position can also be a good part-time job since there are businesses who only hire experts quarterly in order to do reports and analysis for them. Miscellaneous Arthur William Fadden, the 13th Prime Minister of Australia, was an accountant. Artie also served in the Treasury and became a member of CPA Australia. Gospel author St. Matthew the Evangelist is the patron saint of accountants, tax collectors, bankers, bookkeepers, and brokers. His feast is celebrated on September 21. Double-entry bookkeeping, an important development in traditional bookkeeping, was popularised by Luca Pacioli, who is known as the father of accounting. A mathematician friend of Leonardo da Vinci, Pacioli published the technique in 1494, but the same idea had been written by Benedetto Cotrugli in 1458. Both are considered important personas in the history of the discipline: Pacioli as the one who codified the book on the accounting process; Cotrugli as the one who invented the double-entry accounting process. What do you know about bookkeeping and accounting? 8 Common Myths about Partnering with a Virtual Assistant. 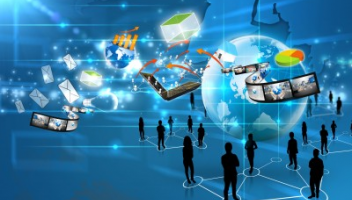 The benefits of sharing your workload with a Virtual Assistant (VA) are well known and clear. Recouping valuable time being the main benefit. But like any valuable strategy, myths and misconceptions are often present. This article aims to debunk some of the illusions and get to the real truth on partnering with a Virtual Assistant. 1. It’s expensive to hire a VA. Generally speaking, partnering with a VA is cheaper than if you were to employ a permanent office assistant. When you partner with a VA, you save associated employment costs such as superannuation, WorkCover and leave entitlements. 2. VAs work in their pyjamas. With days that are often include client meetings (either online or face to face) VAs rarely spend their working day in sleepwear. Networking is also an important part of a VAs day, and as professional business owners, turning up in our pyjamas is just not part of our professionalism. 3. VAs are based overseas. Many business owners looking to partner with a VA, think that they can only found in the Asian countries. Australia’s VA Industry has been in existence for 20 years (although it may not have been recognised officially as a VA Industry then). With several VA networks operating within Australia, the awareness of home grown admin support is becoming more prevalent. Support local and use an Aussie VA. 4. Office staff are more qualified than VAs. Of all the Virtual Assistants I know, each and everyone one of them has had years of experience in the corporate world, before embarking on their own business. Many were Executive Assistants and Personal Assistant to motivated and busy business leaders. Many VAs may also have formal qualifications, such as Diplomas etc. 5. A VA will need to be trained. Again, similar to the above point, having already had substantial years ‘on the job’ training with their existing career paths, add to this formal training (Diplomas etc) and the experience from supporting other business owners - The right VA will have the required skills already established. 6. VAs take longer to complete required work projects. An established VA has probably completed similar project with previous clients. Chances are because he/she has already completed the work before, they will more likely be quicker than you expected. 7. My Privacy won’t be respected. As business owners themselves, VAs understand the importance of maintaining privacy and confidences. Your VA may ask you to sign a service agreement, confirming how they treat your information both during and after the project has been completed. If you’re still concerned, ask the VA to sign your own confidentially agreement or look for a VA with an IVAA EthicsCheck Certification. 8. VAs can only type letters and complete data entry. I’m sure you will find most VAs offer correspondence preparation and data entry as a part of their service - but the list of tasks that can be completed by a VA really is endless. From project management, social media to email and calendar management and everything in between, I think you’ll find a VA to capable to accomplish the project you need completed. I hope this article has helped to eliminate some of the common myths you may have believed true for Virtual Assistants. If you have any other VA illusions, let us know and we can confirm or dispel them for you. These days, Customer Related Management Software is everywhere. Gathering customer information has been automated and it is a lot easier to get access to “large crowds” now, thanks to the digitalization of the entire process. The amount of data that you can gather in a small window of time if you do things right is astonishing. The problems start to rear their ugly heads when that date is supposed to be analyzed and the right type of conclusions need to be drawn. This is the point where most CRM software can’t really help you if you don’t know what to look for. This is the human element of CRM that requires certain knowledge and foresight on the part of the person or the team of people that are analyzing the data you have acquired. It is not only important to implement CRM software, it is crucial to know what kind of date it provides us with and how to use separate types of data for the right purposes. This has a lot to do with knowing the tools you use and the market you are in. Creating a valid representation of the big picture from small pieces of the puzzle is not a two-dimensional effort; it needs to have depth and an obvious usage. 1. Making the right contacts It is all about the right connections, right? CRM software can give you a lot if insight into how you are interconnected with your potential new customers over your old business partners. This can open a lot of options for you and that’s why it is important to follow for example, some social networks like Twitter and LinkedIn. 2. Customer background Social networks can be used to find out about your potential client’s background and through this have a bit firmer ground when negotiating new business deals. There is even CRM software that can gather news and information highlights about your new client and this will help you function with more ease. 3. Statistical Visualization Numbers can confuse. We all know this and we all had to sit down and decipher pages and pages of tables and statistical charts. Numbers that go one for ages need to be analyzed correctly in order to draw the right conclusions. CRM software can visualize data (for example LockedOn is such crm software) and cross-reference two or more different tables and create a much clearer picture of the data. 4. The room to improve Handling complains can be complicated but if done right it can actually be used to improve your efforts. The customer feedback is actually telling you where exactly the problems are occurring and it is up to you to find a way to fix them. 5. The focus on the right people Not all customers are the same. You can’t dedicate the same amount of time to all of them. Some deals that are more serious should take time and hold your attention more than the ones that are a bit more mundane. By having all the necessary statistical data, you will be able to decide is your new client worth the time you’re putting in. 6. Are you missing something? No matter if you are selling something or providing some type of services, you can always add something more. Having the right data is crucial to answer the question of what your customers want from you. If you are selling clothes for example, you would have to have information about what type of clothing item is in this year and add it to your collection in more quantity and variety than others. 7. Updating your tools A lot of people don’t use the right tools for the job and they do not keep track of the newest CRM software. This branch of software is constantly evolving and you need to use it in order to have access to the same information as everybody else. 8. Remembering the right people If you have done business with a certain high profile customer and you haven’t done business with him/her for a while, you want to remember to check up on them just to see how they are doing and politely remind them that you are still interested in doing business with them. Sometimes you get overcrowded with work and forget to do that but there are CRM software solutions that can do this for you and notify you that they have done so. You can even prioritize some clients over others. 9. Prioritizing the right goods If you are doing business in more than one place you want to create an optimal localization in order to maximize your revenue. For this, you need to have the right data in order to achieve this and this is also a thing you can get through CRM.